Very nicely furnished and appointed Kolea Garden Villa. 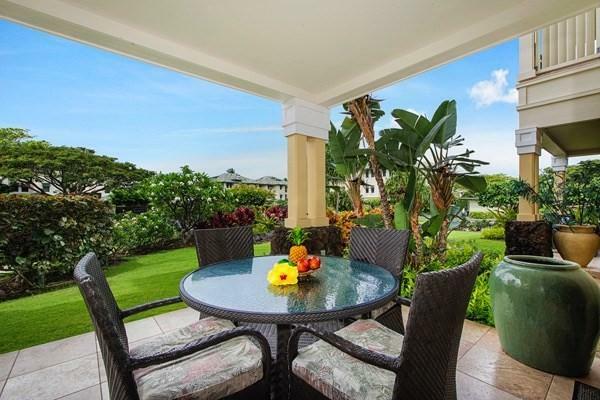 Offered by the owners for the first time, 14G is a very successful vacation rental. The current rental management company often rents this Villa in conjunction with the adjacent 3 bedroom unit, 14K, providing a very desirable vacation opportunity for two families. 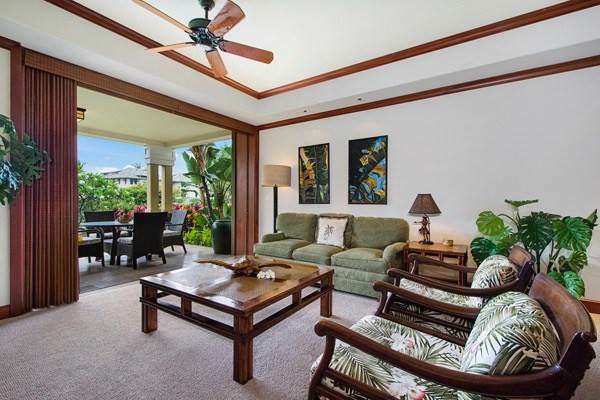 Exceptionally well maintained, 14G has a classic Hawaiian look, with just enough added Asian flair to create a relaxing and contemporary feel. 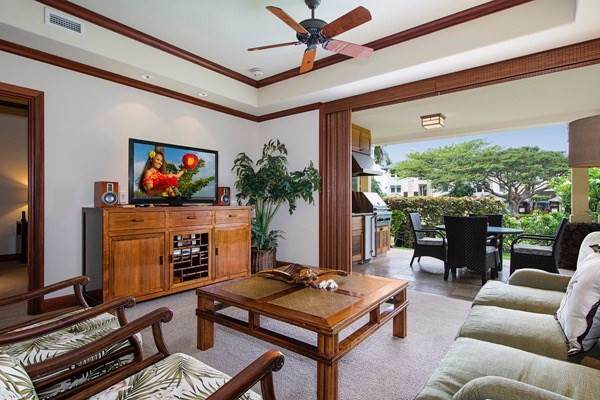 Located within the exclusive gates of the beach front community of Kolea, this villa awaits a discriminating new owner looking for investment income along with a place to call home on the Big Island. An outdoor kitchen, 9' retractable pocket doors, steel framed appliances, granite counter tops, and an inviting lawn area just off the lanai complete the package. 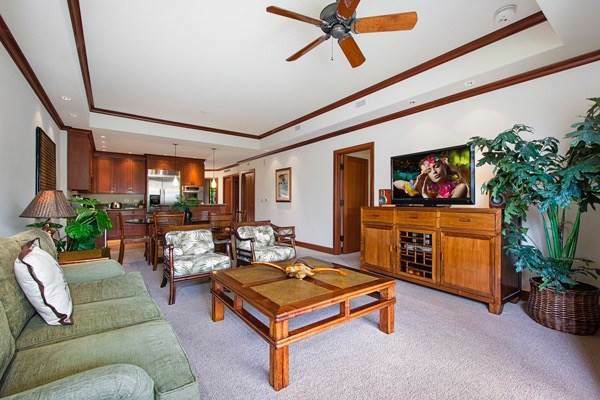 14G is just a short stroll away from Kolea's Beach Club, with its infinity pool, workout facility, guest hales, hot tub, and direct access to the sandy beach of Anaeho'omalu Bay. Also within walking distance are world class golf, dining, and entertainment. Come live your dreams at Kolea today!